Like many of the categories we cover at Solutions Review, the one constant always seems to be change. The marketplace for talent management platforms is maturing on a daily basis, getting more and more crowded with excellent software tools for a variety of use cases, verticals, deployment methods and budgets. Traditional talent management providers continue to offer recruiting and onboarding capabilities that have remained staples to the market since widespread adoption of HR software began more than a decade ago. However, disruptive newcomers and new customer trends are bringing new technologies to the table. There are large providers we refer to as ‘mega-vendors’, like ADP, Oracle, SAP and IBM. There are also the lesser-known innovators with interesting products that play in niche areas, such as Workday, Ultimate Software, and Kronos Incorporated. In an attempt to assist you with what can become a daunting task of selecting the right product, these are the top-25 best talent management platforms for 2019. 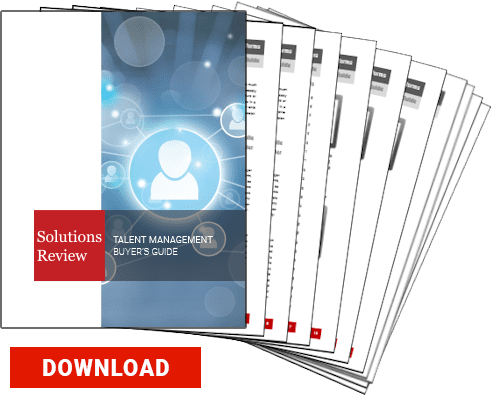 If you find this helpful, be sure to check out our Talent Management Buyer’s Guide, which features key capabilities to look for in a talent management tool, questions to ask before purchasing, a comprehensive overview of the market, and full, one page profiles of the top talent management vendors, including our “Bottom Line” analysis. ADP helps you develop your workers so both you and they grow together in the long run. Their talent management offering, ADP Workforce Now, is an integrated HR solution designed for medium-sized businesses. The software comes equipped with benefits, payroll, talent management, and time & attendance features. The software is also notable for their very strong security practices. ApplicantStack’s applicant tracking system is the affordable, easy-to-use online applicant tracking and employee onboarding system. The company gives organizations the tools to help develop employment applications, create and post new open positions, share positions through social media, and build screening questionnaires to accompany online applications. Designed for HR professionals and recruiters, the company’s applicant tracking system doesn’t require any software installation and can be accessed anytime, anywhere from any device. BirdDogHR offers integrated talent management including recruitment and applicant tracking, onboarding, social collaboration, learning and more. Designed to cover productivity, meet compliance regulations, and centralize business processes, the software works well for organizations within construction, engineering, and the skilled trade fields. BirdDogHR’s employee management software and managed services solutions help companies attract and hire top talent, align employee goals with company goals, and create solid succession plans, all while ensuring full compliance with the latest government regulations. Cegid, formerly Technomedia, offers integrated, cloud based talent management solutions that provide businesses with the tools for communication between employees, managers, and candidates. The software is ideal for businesses within retail and point-of-sale industries. Users are able to access the system through both desktop devices and mobile devices. Manage your workforce from hire to retire, with a modern talent management suite designed to fit your industry best practices. Ceridian is a global human capital management (HCM) software company offering HR, payroll, talent management, benefits and workforce management solutions all in the cloud. Dayforce, the company’s flagship cloud HCM platform, provides human resources, payroll, benefits, workforce management, and talent management capabilities in a single solution. The platform helps you manage the entire employee lifecycle, from recruiting and onboarding, to paying people and developing their careers. Ceridian provides solutions for organizations of all sizes, from small businesses to global organizations. Built from the cloud up with the most innovative technologies, Cornerstone OnDemand is equipped to meet the unique needs of your industry. From multinational enterprises, to mid-market and small businesses, organizations around the globe and in a myriad of industries successfully use Cornerstone OnDemand’s comprehensive talent management solution to maximize their most valuable assets: their people. Cornerstone presents a powerful and fully customizable cloud based Talent Management Suite comprised of an integrated package of modules such as: Recruiting, Learning and Development, Performance Management and an HR Suite. Deltek has offered its talent management software since 1999 with its acquisition of HRsmart. This talent management software is available as a modular system which allows companies to choose what functions they need. From finding and acquiring the right talent, to performance management, to learning and career development, to compensation planning and analytics, Deltek’s unified talent solutions help improve the quality of new hires, increase employee engagement & retention, maintain compliance and streamline your onboarding process. HealthcareSource presents a talent management suite focused entirely on the healthcare industry with a number of features including applicant tracking, onboarding, learning management, performance management, and much more. With a combined approach that focuses on both client needs and data-driven insights, HealthcareSource brings a human element to the science of talent management. At HealthcareSource, they recognize that the key to providing quality patient service is to find the ideal candidate for the job. iCIMS offers leading software solutions and tools to unify all aspects of talent acquisition. With iCIMS, companies can manage their entire talent acquisition lifecycle within a single SaaS application. With recruiting, offer management, onboarding and relationship management tools, the flexible, scalable, and easy to use iCIMS Talent Acquisition Software Suite supports organizations of all sizes, in all industries. iCIMS delivers faster integration activation with less reliance on IT resources and their industry-leading integrations refine your recruitment processes without disrupting mission-critical hiring workflows. Kronos offers the industry’s most powerful suite of tools and services to manage and engage your entire workforce from pre-hire to retire. And because workforce needs are constantly changing, Kronos solutions are designed to evolve with you to help meet the challenges you face every day — regardless of your industry or where you do business. Kronos Workforce Management solutions help organizations increase employee engagement for stronger business results to strengthen customer satisfaction, increase revenue, improve patient care, and deliver quality products. Meta4 is a privately held corporation that offers on premise-and cloud solutions for HCM and payroll. While the software has traditionally focused on human resources, they’ve made broad steps in the talent management arena adding a number of features including recruitment, compensation, and performance management. Meta4 cloud solutions offer HR professionals state-of-the-art technology with the best possible user experience for managing the complete employee cycle. This all-in-one solution exploit cloud benefits to overcome all the challenges of human capital management, while increasing business productivity and efficiencies. Namely offers an all-in-one HR platform for mid-sized companies that covers all of your essential HR needs, including payroll, talent management, benefits management, time management and core HR. Namely acts as your singular system of record, powering your entire company. The company’s talent management suite allows businesses to conduct paperless onboarding, track goals, conduct performance reviews, and features performance management, ongoing feedback, and more. Oracle’s offering, Oracle Talent Management Cloud, is a system that provides recruiting, talent management, and learning management software for businesses that are looking to source and hire talent with maximum employee performance. Their software is designed for organizations large, small and mid-sized across a variety of industries. Manage the entire talent lifecycle from sourcing candidates, managing goals and performance, performing talent reviews, and developing careers and successions, and provide continuous learning to keep your talent engaged with Oracle Talent Management Cloud. PageUp’s Unified Talent Management software is, unlike others, more than just a sum of its parts. Supported by end-to-end implementation and high service standards, it accompanies you and your organization from recruitment and onboarding, through learning, into strategic performance management, and right up to best-practice succession planning, all backed up by platform-wide HR analytics. PageUp offers its users a cloud-based suite of talent management applications that help you look after your employees, boost their skills and raise productivity. PeopleAdmin provides innovative solutions designed to meet the unique needs of K-12, higher education and government, empowering streamlined talent management and faculty activity processes, while data-driven performance insights empower leaders to anticipate and overcome challenges around recruitment, position management, employee performance, and more. The PeopleAdmin talent management offering provides users with the tools required to maximize operational effectiveness and minimize risk. Organizations can simplify and automate their hiring process and monitor employee performance, while also building and retaining compliant audits. PeopleFluent presents a cloud-based talent management suite, the Talent Productivity Platform, that’s complemented by applications for vendor management, workforce planning and diversity, and analytics. PeopleFluent’s Talent Productivity Platform unifies all your talent acquisition and talent management processes into a single, collaborative workspace that reflects your unique talent strategies, culture, and employer brand. With PeopleFluent, HR can communicate talent process and priorities to managers so they can make better talent decisions that reach and engage all employees. SABA Software provides organizations with a cloud-based talent management suite built to increase productivity, improve business results, and increase employee engagement. While providing applications for traditional talent management functions, such as learning, performance, workforce planning, and recruiting, SABA also builds on these with social and mobile capabilities that optimize the traditional talent management process. SABA’s talent management system is designed to create high performance cultures, deliver the experiences your people will love, and provide the insight you need as a talent leader to elevate your impact on business success. SAP’s SuccessFactors offering presents users with an integrated cloud-based HCM suite with a number of features designed to help organizations manage their workforce such as Core HR, payroll, time management, performance, compensation management, and more. Because of its cloud-based nature, the software is completely mobile allowing users to access their account at their own convenience to view project updates and recruiting data. SuccessFactors can help you streamline global HR processes, win at the recruitment and retention game, train and re-skill your workforce, take advantage of technologies such as AI and much more. SilkRoad’s talent activation solutions help customers create the personalized experiences to activate and engage people along their individual journeys. SilkRoad’s talent management software, Talent Activation, is a full comprehensive cloud-based solution suite that contains a number of HR relevant solutions. Users can choose the entire suite or specific models to match their company’s needs. SilkRoad is also integrated within Microsoft’s Active Directory which allows users with a single sign on so that employees are able to transition between each of the SilkRoad modules. TalentSoft offers a cloud-based talent management suite with a number of in-house options. The company offers nine management products to meet all of a large, international business’ needs while also presenting small-mid-sized businesses with a separate package. My Talentsoft offers one platform for all your HR solutions, allowing you to access all your talent management processes, from competencies assessment to salary review and training, and leverage integrated third-party applications to enrich your working experience. Embed your daily tools through our IPaaS platform to enrich your practices, all in one place. TalentQuest sits right at the intersection of Talent Management and Talent Development. The company helps organizations more intelligently solve their talent challenges through the combination of Talent Management Software, Behavioral Science, and Immersive Learning. The TalentQuest talent management software suite helps you strategically align and execute your company’s talent management strategies in a single platform. The configurable, cloud-based software delivers deep functionality with built-in best practices and flexibility to meet your unique needs through a highly intuitive user experience. Ultimate Software’s offering, UltiPro, presents an end-to-end solution that includes payroll, human resources, and a talent management system that is delivered as Software-as-a-Service. Ultimate Software’s UltiPro HCM software suite provides businesses under 1,000 employees with full visibility of the entire employee lifecycle from recruiting to retirement solutions. Solution features include HR, Payroll, Benefits Administration, Open Enrollment and Life Events, Time, Attendance, and Scheduling, Payroll Administration, and Tax Management. There is also talent management functionality, which includes Recruiting, Onboarding, Career Development, Performance Management and Succession Management. Workday presents a full HR suite that covers everything from administration, talent management, recruitment, and time tracking. This vendor is renowned for their commitment to customer service. Workday is also a highly flexible solution, that allows you the ability to take the data stored within Workday with you, if you ever decide to leave it behind. Gain insight into your talent landscape, align top talent with key business objectives, and develop tomorrow’s leaders. With HR talent management software from Workday, you can invest wisely in your people and their future, and be prepared for whatever comes next. 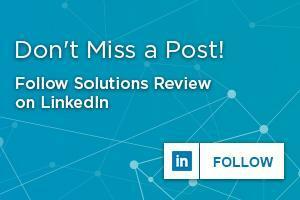 Don’t forget to follow us on Twitter, LinkedIn and Facebook for all the latest in Work Tech space!